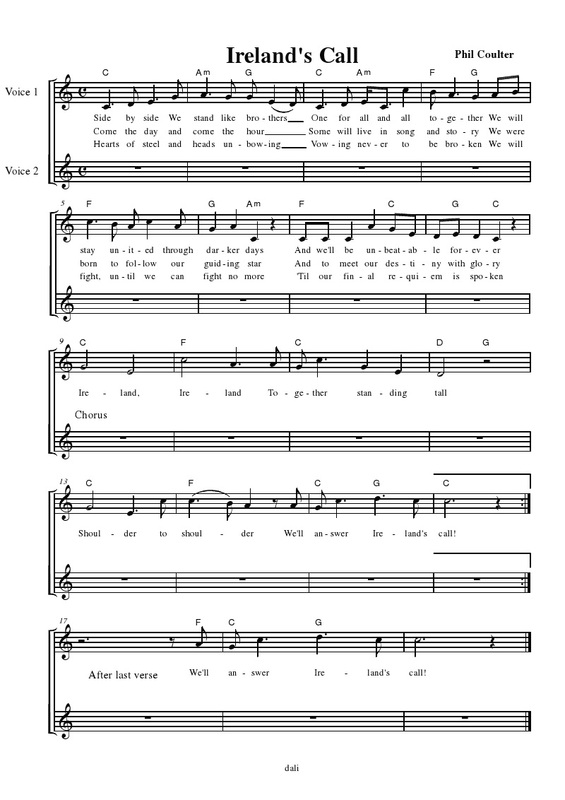 Ireland's Call lyrics and chords, written by Phil Coulter. Guitar music by Marc Fahrbach, a song written for the Irish rugby team, another first for this site to have the song lyrics with guitar chords. Sheet music included, transcribed by Richard.